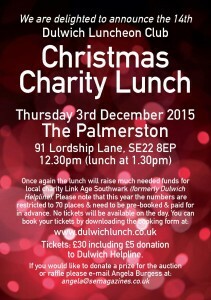 We are delighted to announce the 14th Dulwich Luncheon Club Charity lunch will take place on Thursday 3rd December from 12.30pm. 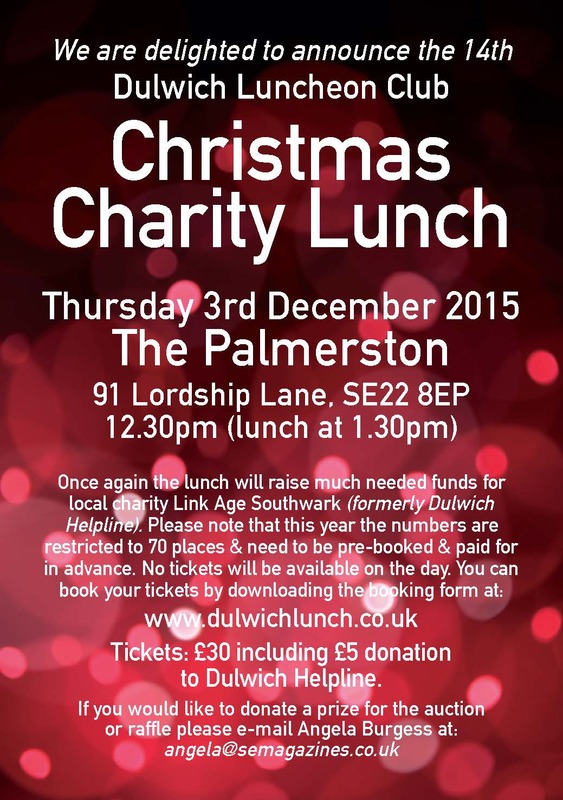 Once again the lunch will raise much needed funds for local charity Link Age Southwark (formerly Dulwich Helpline & Southwark Church Care. The venue is the same as last year, The Palmerston, which proved very popular with everyone last year. Tickets are just £30 for two courses including wine. Please note £5 donation goes straight to Age Link Southwark from each ticket sold. Next → Next post: Final Chance to Book!